Well, it’s a marvelous night for a moondance! First of all, I would like to say sorry for the delayed posts to those who have been keeping up with me. On the third I was feeling a little under the weather so I didn’t do anything too exciting. I did however make bruschette and frittatas in my class. 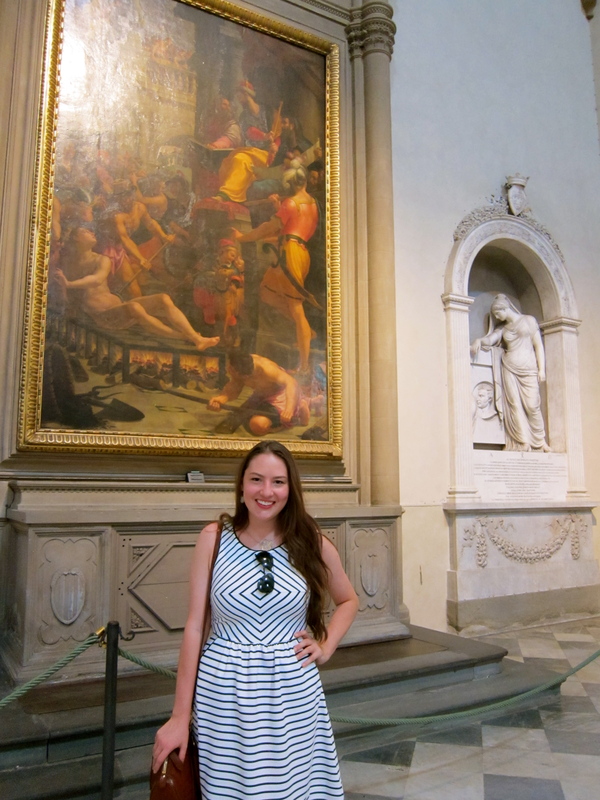 I spent my Fourth of July knocking a few things off of my Firenze bucket list. I had breakfast at caffe Gilli which was molto bene. Then I set out to find the Santa Novella Pharmacy. I ended up at the Piazza de Santa Novella and decided to go in the basilica while I was there. 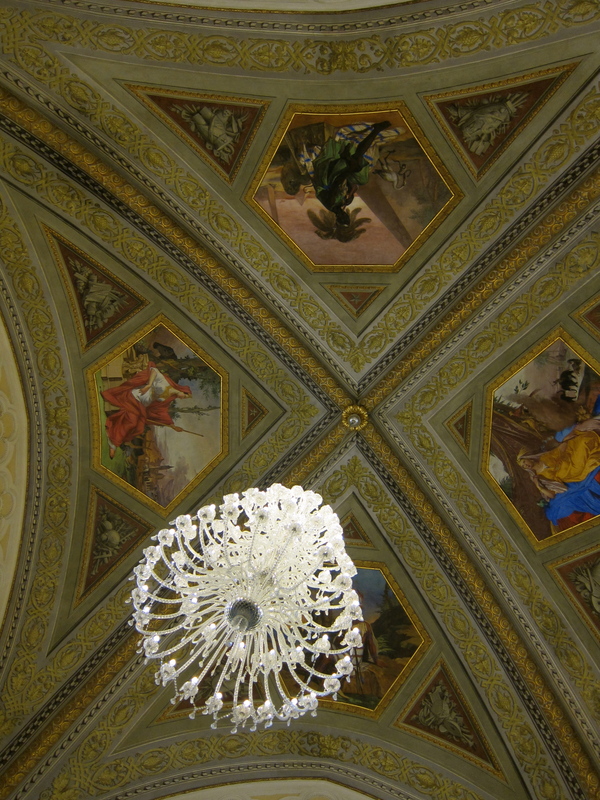 It is amazing to me how much detail sculptors, painters, and artisans put into these buildings. Everywhere I turned there was something new to look at. I can only imagine what the Duomo looks like. After that I finally found the Ufficio Profumo Farmaceutica di Santa Novella which for those of you who don’t know it is like the first pharmacy that was built in Firenze. When you walk in it is like a beautiful museum full of old apothecary things as well as new products. They make their own body and hair care as well as perfumes and vitamins. You pick out the products that you would like from their menu and they put it on a card for you, and at checkout you hand the card to the cashier and she gives you your products. Probably one of the coolest things I have done thus far. Once I left there I had lunch at Il Pizzauolo which was delicious. I seriously feel like my life revolves around food here. After I finished my pizza I had to head back for a quick siesta. Then Jen and I decided to go to the Scoula di Cuolo aka School of Leather. We got to see all of the students working on all types of leather. They even had all of their products for sale. The animals that they used were calf, lamb, crocodile and ostrich. The bags were not too expensive but I have a feeling they would last forever. After Jen and I closed that place down we went shopping and decided to pose for a photo op in front of the Ponte Vecchio(thanks for the tip Jane Anne). P.S. You didn’t tell me about having to climb over the bridge. Anyways after it was all said and done we had a great dinner and shared many laughs at the end of the day! Off to Parma and Modena tomorrow! Haha I’m pretty glad that we didn’t have too much vino before doing it. However, I provided a great laugh to a bunch of Asian tour groups.